Greenleaf Book Group, 9781608321162, 155pp. While most schools continue to resist change, homeschooling families are abandoning the K-12 system and rediscovering what childhood education means. They are identifying new methods and goals that are powerful, born of common sense, and incompatible with today's schools. 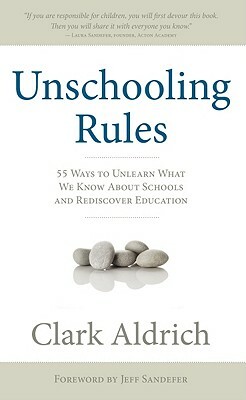 The author, education expert Clark Aldrich, has explored the cultures and practices of homeschoolers and unschoolers. He has distilled a list of rules that shake the foundations of national education to its core.